Home > Departments > Faculty > Jaan Valsiner Ph.D.
Dr. Valsiner received his higher education in Estonia, where he graduated from Tartu University in 1976 and completed his post-graduate work in 1979. He has been at Clark since 1997, and is also affiliated with the program in Communication and Culture. 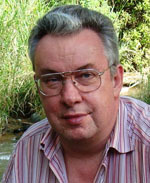 He won the Alexander-von-Humboldt Research Prize in Germany in 1995, and is affiliated with research groups in Brazil, The Netherlands, Australia and Estonia. He is actively involved in FQS: Forum Qualitative Sozialforschung. Dr. Valsiner is a developmental scientist who takes interest in the cultural organization of mental and affective processes in human development across the whole life span. Another domain of his research involves psychology's history as a resource of ideas for contemporary advancement of the discipline and in theoretical models of how human beings are carriers of culture. Valsiner, J. (2008). The social and the cultural: Where do they meet? Meaning in action: Constructions, narratives, and representations (pp. 273-287). Tokyo: Springer. Integrative Psychological & Behavioral Science, 43(1), 1-21. Valsiner, J. (2005). Transformations and flexible forms: where qualitative psychology begins. Qualitative Research in Psychology, 4(4), 39-57. Molenaar, P. C. M., & Valsiner, J. (2005). How generalization works through the single case: A simple idiographic process analysis of an individual psychotherapy case. International Journal of Idiographic Science, 1, 1-13. Valsiner, J. (2008). Who shall survive? Psychology that replaces quantification with qualitative mathematics. Paper at the Symposium at 29th International Congress of Psychology--Why psychology moves towards the qualitative epistemological foundations. Berlin, Germany, July, 21, 2008. Valsiner, J. (2008). Chronogenesis: Breaking the linearity of infinity. Paper at the Symposium at 29th International Congress of Psychology--Time, Space, and Culture: Chronogenesis in human life course. Berlin, Germany, July, 25, 2008. Valsiner, J. (2008). Culture within development: Similarities behind differences. Paper at Da Xia Forum Lecture. Shanghai, China, June, 4, 2008. Valsiner, J. (2007). Locating the self...looking for the impossible? Or maybe the impossible is the only possibility. Paper at the Conference Culturalization of the Self. Chemnitz, December, 1, 2007.